Delegating gives a user one of the following rights. User1 can send an email as user2. User1 can send an email on behalf of user2. User1 has full access to user2 mailbox. Near the top, select mailboxes. Highlight the user that you want to delegate access to, and select the pencil icon. Under Send As or Send on Behalf or Full Access, select the plus icon. 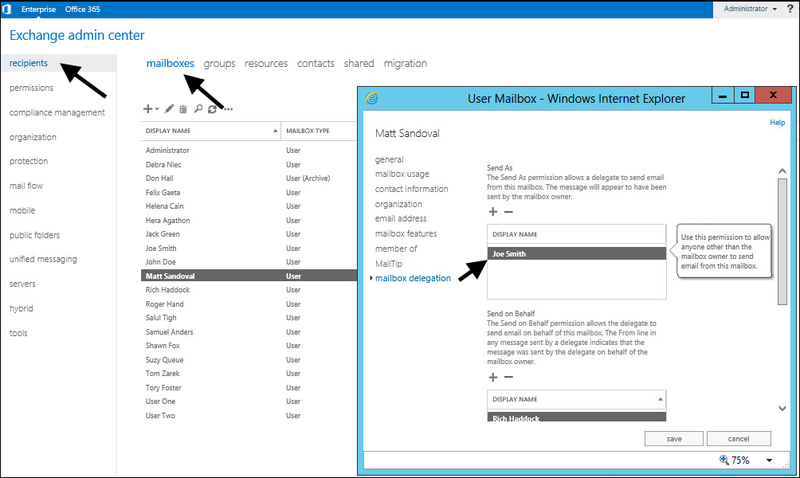 Select another mailbox, and select Add. In this example, Joe Smith is a Send As delegate of Matt Sandoval. Now that Joe Smith is a Send As delegate of Matt Sandoval, Joe Smith can send emails as Matt Sandoval. When the email arrives in the recipients inbox, it will show as being sent from Matt Sandoval, although it was actually sent by Joe Smith as Matt Sandoval. 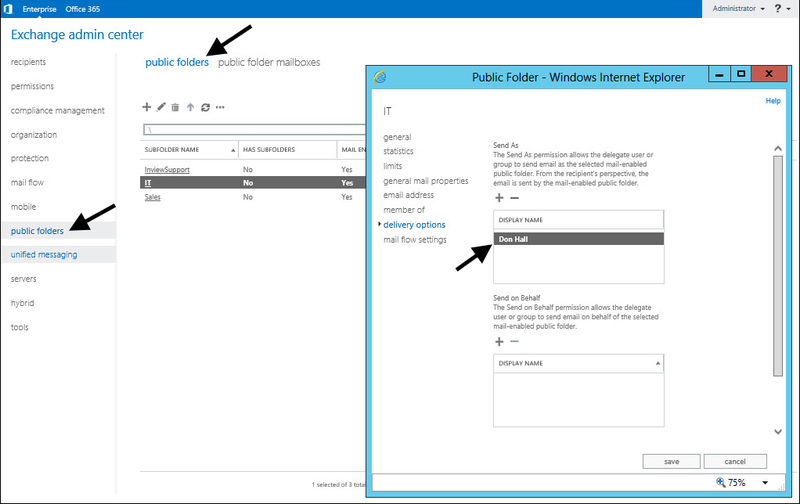 In the left panel of Exchange Admin Center, select public folders. Near the top, select public folders. Highlight the shared mailbox that you want to delegate access to, and select the pencil icon. In this example, Don Hall is made a delegate of the IT shared mailbox.